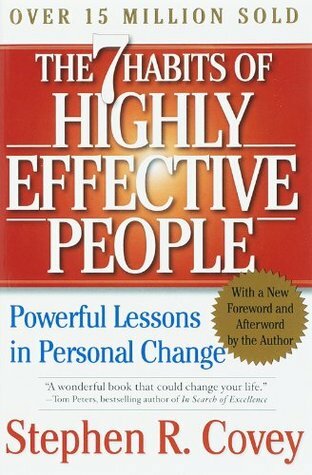 First published in 1989, The 7 Habits of Highly Effective People has sold more than 25 million copies in more than 40 languages worldwide. One of the best-selling self-development management books ever published, it continues to have a powerful influence on generations. The world has changed a great deal since this book was first published. We are moving from an industrial age to one of knowledge—which is readily available through the internet and social media. Yet 7 Habits remains as relevant as ever, because it is based on timeless, universal principles. With 7 Habits, you will truly learn to live a highly effective and successful life. Stephen R. Covey (1932–2012) was a world-leading leadership authority, family expert, teacher, organizational consultant, and co-founder of FranklinCovey Co. He was named one of Time magazine's 25 Most Influential Americans and is the author of several international best-sellers. He has influenced and worked with some of the most powerful figures in the world and was asked by Bill Clinton to personally tutor him on how to implement the seven habits to improve his leadership and his presidency.